The sun is essential for life, but it can also take your life away if you end up getting the deadly form of skin cancer known as melanoma. Preventing it is simple, so it almost seems foolish not to apply sunscreen all over your body before you step outside. However, this is one case where too much of a good thing can actually have the opposite effect. The growing rates of vitamin D deficiency in our nation are being pinned on an overuse of sunscreen. In the early 1990s, less than half the country was deficient in this vitamin, but now that figure has risen to 75 percent overall and 95 percent for African-Americans. Part of the problem is our largely indoor lifestyle, with people preferring to spend their time indoors using electronic devices rather than going outside. However, those ultra-high SPF sunscreens we lather on just to walk from our car to our office door are not doing us any favors, according to research that was recently published in the Journal of the American Osteopathic Association. Vitamin D is produced when your skin is exposed to sunlight, and sunscreen stunts this ability. A sunscreen with a SPF of 15 or more can decrease your vitamin D3 production by as much as 99 percent. 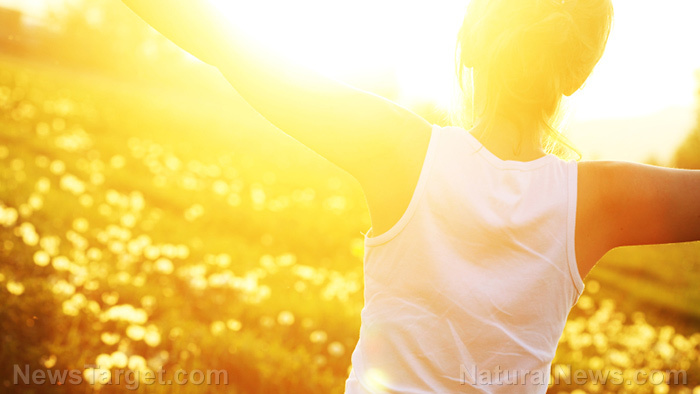 While lacking vitamin D might not sound too serious in theory, it plays a vital role in immune function, mood regulation, inflammation reduction, cell growth modulation, and neuromuscular function. A deficiency in vitamin D, meanwhile, is believed to play a role in conditions like autoimmune disorders, respiratory disease, cancer, multiple sclerosis and cardiometabolic disease. It also increases your fracture risk, and studies have even linked vitamin D deficiencies to metabolic syndrome. Although its ability to reduce your risk of respiratory infection is well-established, another recent study found that Vitamin D supplementation can help you avoid the flu and common colds. The study, which involved more than 11,000 participants, found that the vitamin helped to reduce people’s risk of developing colds and flu by 10 percent. The effect was particularly strong in those with vitamin D deficiencies. In fact, its record, when it comes to preventing respiratory infections, is actually stronger than that of the toxin-laden flu vaccine. The good news is that you don’t have to choose between placing yourself at risk for melanoma and risking the many conditions associated with vitamin D deficiency, including other types of cancer. There is a happy medium here that is not hard to reach. Touro University assistant professor Dr. Kim Pfotenhauer says that going for a walk with your legs and arms exposed is typically enough for most people. Experts concur, recommending anywhere from 5 to 30 minutes in the midday sun two times per week depending on your skin tone. Those with darker skin tones will need to stick to the higher end of the range to get the vitamin D they need. If you’re planning to spend the day at the beach or pool and you’re concerned about skin cancer, bring your sunscreen along and apply it after you’ve gotten your daily fill of vitamin D. Look for sunscreens made only with natural ingredients like organic coconut oil, raspberry seed oil, and carrot seed oil. Raspberry seed oil has an SPF somewhere between 30 and 50, which means it is one of nature’s best sunscreens. Other oils do offer some protective effects but will need frequent reapplication. The sun doesn’t have to be the enemy. You just need to be smart about exposure so you can unleash the tremendous power of vitamin D without damaging your skin.